Originally opened in 1910 on the initiative of the advisory board of the department store “Le Bon Marché” for their important clients, the Lutetia hotel is significant in the history of Paris for being a transition from the Art Nouveau of the day to the then emerging style of Art Deco. It very quickly became a favourite with personalities from the worlds of literature, art, fashion, politics and the cinema. Acquired by The Set hotel group, known for their sensitive and transformative restoration of historical properties, the hotel was closed for four years, for an ambitious period of restoration and refurbishment that has returned the property to its rightful place amongst the city’s Palace hotels and as the only Grand Hotel on the Left Bank. 4SeasonsSpa is honored to be part of this important transformation, building a unique spa of 700 square meters dedicated to well-being, fitness and relaxation. 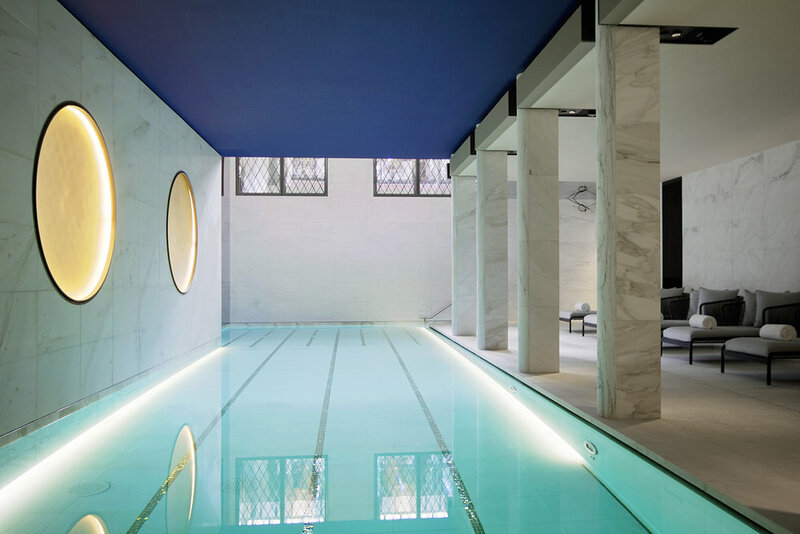 The spa is one of the largest luxury hotel spas in Paris, featuring a 17m pool, lavish changing rooms with private steam rooms, a sauna, steamroom, cold plunge pool, warm whirlpool and a hydrotherapy bath within the double treatment room. This is our 3rd project for Alrov and The Set after Conservatorium Amsterdam and Café Royal London. July 12th 2018 saw the unveiling of the work of architect Jean-Michel Wilmotte. in evidence throughout the whole building as well as in the spa. 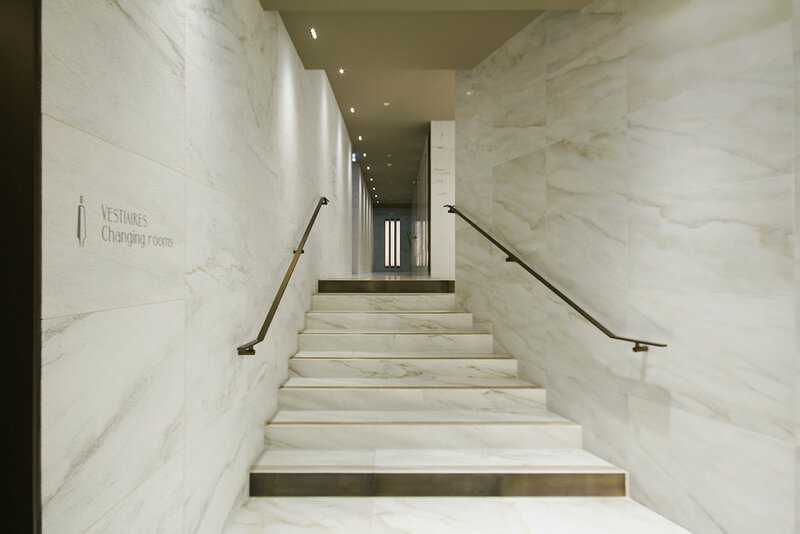 This project is a very good example of how a well designed Spa becomes part of the overall design of the hotel and - more importantly - how the design contributes to a true Spa experience. The only thing you do when sitting in the sauna or whirlpool is look around you, what is then more relaxing than a space where every detail is thought through.